Updated Wednesday June 6, 2018 by JoAnne Foglia. Latham is committed to creating competitive teams that develop the skills of the soccer player as well as develop the team soccer concept. All teams are coached by certified soccer coaches for games and trainings. Beginning in November, Latham provides indoor trainings and will participate in indoor games. In April, the club participates in the outdoor program, continuing with games and trainings. In addition, LCSC looks to participate in indoor outdoor tournaments, events that require overnight stays, teams are expected to pay for the coaching expenses. Latham follows the CDYSL age matrix for placement of players at the appropriate levels. 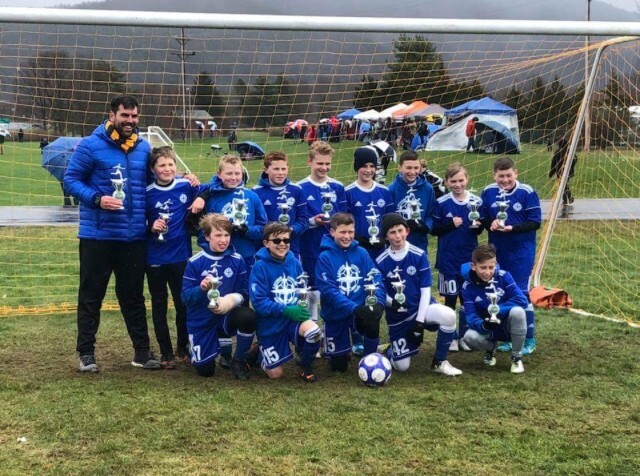 Our Travel program teams (Saints Fc- premier and LCSC Travel teams) are designed to offer a more competitive soccer experience to age eligible players and require participation in evaluated tryouts. Selection to the team will not guarantee playing time. Playing time will be at the discretion of the coach. Players are expected to attend all practices, games, tournaments and outside trainings unless discussed and approved by the coach. Outdoor practices dates/time and locations will be at the discretion of the coach. Indoor practices dates/times and locations are set by the facility. Limited facilities availability may require change in venues to accommodate additional indoor practice/game play. The commitment is for a complete season, consisting of indoor sessions as well as outdoor spring play in CDYSL. Once a player accepts a position on the team the fees are non-refundable and are expected to be paid in full unless there are extenuating circumstances such as a season ending injury, these issues will be addressed in a case by case basis and reviewed by the coach, Director of Coaching and the Travel Coordinator. Leaving this team without approval and not paying the balance due will result on a hold being placed on your LCSC account; players will not be able to join any other club or participate in any other LCSC programs until the balance is resolved. Playing on a team requires the commitment not only of the player but the parents as well. We are excited to announce the formation of 2008, 2009 and 2010 GIRLS SAINTS FC. Saints FC teams may participate in Fall and Spring CDYSL and/or EPL and NPL league play and attend several tournaments. 2 to 3 trainings and 1 game all year.